A Cockroach infestation must be dealt with quickly and efficiently. You have come to the right place if you are looking for expert advice to help in getting rid of those pesky bugs. Call 207-613-1914 today. 1.) Empty out all drawers and cabinets in the kitchen and bathrooms, as well as other places where roaches have been observed. Empty out the cabinets and drawers above and below sinks. Allow access to the plumbing areas beneath and around sinks, etc. 2 Degrease and Sanitize before the treatment. 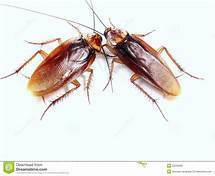 Roaches thrive on grease and just about any other organic matter. They eat meats, grease, starchy foods, crumbs, sugar and more. Degrease and sanitize the cabinets, drawers, stove, refrigerator, and other appliances, countertops – anywhere grease and other organic matter may be. Grease can also accumulate under refrigerators, stoves and other appliances as well. Move the appliances out in order to thoroughly clean under them. 3 Empty out any other areas where cockroaches have been seen or suspected so the pest control professional can properly treat. Any areas to be treated must be properly prepared so access can be made to the area. 4 Declutter your apartment or home. Excess boxes, storage and other items allow pests access to more harborage in areas that cannot be treated. De clutter in areas that are conducive to roach infestation, such as in the kitchen, under kitchen sinks, bathrooms and other areas. 5 After the treatment, do not use any other chemicals or pest control products. They may interfere with the materials the pest professional used. Furthermore, do not wipe down the areas treated afterward, since it may remove the materials that are intended to provide ongoing control of the roaches. Note: The pest control professional may use any combination of baits, dusts, liquids, traps, glue boards, etc. to properly treat your home. Some products (such as baits and other pesticide formulations) take longer to have full effect due to the nature of the control. Therefore, 100 percent control does not take place immediately in almost every situation. Proper preparation and cleaning is the key!